Sometimes I have a plan when I bake, and at other times recipes seem to come together at the last minute. I had the Orange Cake recipe I posted last week in my blog drafts since just after I started this blog. I had a specific recipe in mind, and I had plans for making that cake for a long time. (That’s another reason that it was kind of funny that when I finally went to make it my oranges were gone!) This Strawberry Banana Muffin recipe is another story. I didn't have a plan or have any recipe in mind, so it came together based on the ingredients I had on hand: a ripe banana, fresh strawberries, and extra buttermilk leftover from when I made the Orange Cake. I love the combination of strawberries and bananas. It’s one of my favorite yogurt flavors, and when I make smoothies I almost always add strawberries and bananas. But as I was mixing up these muffins I could not recall ever using the two together in a baked item. 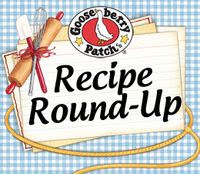 Do you have a favorite recipe with strawberries and bananas? A moist, delicious strawberry banana muffin recipe. 1. In a large bowl combine flour, salt, baking powder, and baking soda.2. Toss strawberries in dry ingredients so they are completely coated.3. In another bowl, cream the butter and sugar. 4. Add the eggs and beat well.5. Mix in the bananas and vanilla.6. Add the dry ingredients/strawberry mixture to the creamed mixture alternately with the buttermilk.7. Fill paper-lined muffin cups two-thirds full and bake at 400°F for 18-20 minutes or until a toothpick inserted in the center comes out clean.8. Cool for a few minutes in the pan, then remove to cool completely on wire racks. These muffins sound perfect, Jill! I love strawberry/banana combo and combined with that muffin recipe, sounds heavenly! Your photos are gorgeous too! What a great combination...strawberries and bananas! How could you go wrong with buttermilk in your muffins...these sound marvelous! I think it's muffin week, because I planned on making muffins also today...just don't know when they'll be posted. It has been awhile since I have made any muffins, but there are a lot of posts out there recently. This one is fantastic-great flavors of summer. Deliciously fruity. Very summery. It does look so moist. Yum! I'm like you Jill, I love combining strawberries and bananas together. They're like the perfect marriage. I love strawberry banana yogurt as well as smoothies. I've made lots of variations of banana muffins and in fact I've even put strawberry banana yogurt in the batter when making them. But, I've never made strawberry banana muffins. Now I'm going to pull out that recipe I created last year and add strawberries. Yours look so beUtiful with the strawberries peeking out from under the muffin. So moist and yummy looking! I love the fruitiness of this one. Those 2 go so well together. Buzzed this! These look wonderful!! I love how the strawberry peeks through on the top. These muffins look delicious! I've been on a muffin kick myself lately. I like that I can eat them for breakfast and dessert. Thanks for sharing on A Well-Seasoned Life's Sweet Indulgences Sunday. it's funny what you can come up with when things don't go as you planned. I'm certainly glad you made those little beauties, banana and strawberries are two of my favorite flavors, and they certainly look delicious! MMMMMM! My two favorite fruits in a muffin! This sounds like a wonderful combination of flavors. Don't you love using up what you have available? congrats on the Top 9!! !Your muffins are mouthwatering. I must say that I've never made strawberry banana muffins, but I will soon. I've made strawberry muffins and banana muffins, but never together! Gteat combo! Mmmmmm I love fruity baked goods. I'm certainly loving the sound of these strawberry and banana muffins! Oh yummy! I have the same "leftovers" at home so I'm definitely going to give these a try! so yummy! and nice pictures! i see you featured in the foodie blogroll, congrats! I loved your muffins, Jill! Yours look so good with strawberry and banana. Congrats on top 9...you deserve it! Just found your blog as the Strawberry/Banana muffins sound delicious! I was hoping to find a recipe and I did! Thank you so much! I can't wait to try them out! Jill, your muffins looks so moist, like a cupcake. Such a great idea to pair strawberries with banana. Yum! Perfect with a cup of tea. Congrats on Top 9, these sound and look incredible. I love strawberry banana yogurt so I know that's a great combo. Top Nine WHOO WHOO and of course well deserved! Love the look of that S Shaped top! A delicious post! looks healthy and yum! gonna make these soon for breakfast. found your blog through tastespotting and im following you now(:!